We are seeing multiple offers on properties that are already competitively priced. Guerneville riverfront homes and vacation rentals for sale such as the ones on Drake Road and the Vacation Beach area are higher end homes that are selling for $400,000 and more! Living in Guerneville is a rewarding experience. The majestic towering redwoods, the breathtaking view of the Russian River, the tight knit community, and the safe small town feel are what draws people here and the feeling of finally being home is what keeps them here. The Ocean is a mere twenty minutes away the area is rich with history. The Guerneville community is always there to welcome and support each other. They rally together to help their own no matter what. There are all sorts of things to do in Guerneville. The most popular pastimes in this area include fishing, kayaking, swimming, hiking, and sun bathing on the beach. Many of the locals as well as vacationers enjoy visiting the local Rio Theater in Monte Rio just seven miles from Guerneville. There are also a few spas in the area including West Sonoma Inn and Spa, June Bug Skin Care, and Osmosis Day Spa. Guerneville is also known for it's interest in art and creativity. There are an array of art studios here in Guerneville that feature a variety of different art from sculptures to paintings to good old fashion black and white photography. 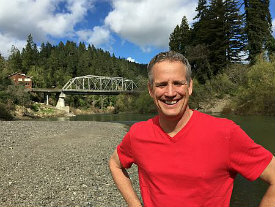 Here in Guerneville you never have a chance to get bored because there is always something to do! 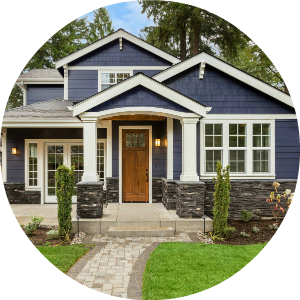 As a local Guerneville Real Estate Agent here in West County I have had the opportunity to witness the rise and fall of the market over and extended period of time. I have seen just about everything and found solutions to countless issues that have arisen throughout the transactions that I have handled. My advice to anyone looking to invest in Guerneville Real Estate is to get yourself a local Guerneville Real Estate Agent. They will have the insight and expertise that outside agents won't have. Homes for sale in Guerneville range in price starting at $200,000 and going up from there. Each home for sale in Guerneville is unique in its own way and the homes here are very different than they are in other areas. If you have been thinking about investing in Guerneville Real Estate and you have children your first thought was probably what are their schools like and what can they offer my children? 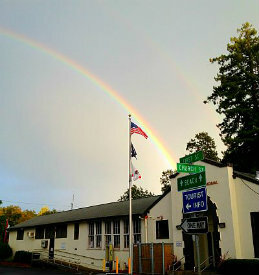 Well Guerneville Elementary School is where children who are in elementary and junior high go to school. Due to our remote location and low population we have a combination Elementary School and Junior High. 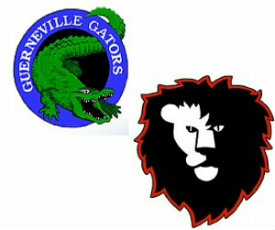 Guerneville School is home to the Guerneville Gators. It has grades k-8 and offers an After School Program, Ballet Folklorico, Sports, Guerneville School Garden, and Summer Programs as well. Once children reach adolescence and are ready to move on they attend El Molino High School located in Forestville. El Molino is the home of the Lions and offers a Full Curriculum, Athletics, Performing Arts, Community Events, and Agrigulture. There are always events going on in Guerneville but here is a list of the annual events that the community supports in Guerneville! This town used to be called Stumptown due to the logging industry sweeping through the area however the locals disliking this name renamed the town in 1870 after the town's most upstanding citizen George Guerne. Redwoods gave way to Vineyards and Lumber Mills were turned into wineries and other shops. Time Marched on and the town of Guerneville grew. Today Guerneville continues to grow and prosper as new restaurants and stores replace abandoned buildings and this community unifies to restore our home to the natural beauty it once had by cleaning up creaks and raising funds to keep the water and streets clean. 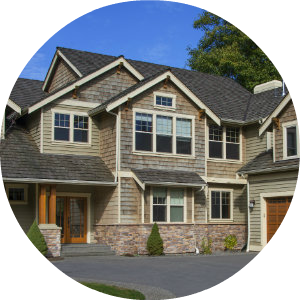 Many people looking for homes and houses are usually looking less at the home itself and more at what the area has to offer. Many of the homes in the area are riverfront homes that are surrounded by towering redwoods that offer privacy and tranquility. Some of the homes are in large open areas as well offering lots of sunlight in the summer months which is perfect for the average gardener. Many people who move to the area would rather be on Hulbert Creek or streets that back up to more seasonal creeks where it is more peaceful and serene. 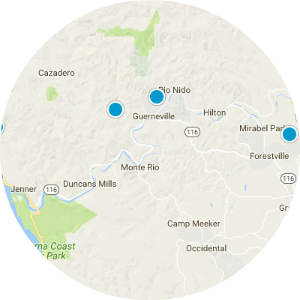 When you move to Guerneville you are within a few minutes of Armstrong Woods, the Russian River, the stunning Pacific Coastline, the hills of Cazadero and a whole range of tranquil creeks including Austin Creek and Hulbert Creek! Get A Home With A Great View Of The Russian River! If a great view is important to you, some areas to consider are Neely Road, River Lane, or Summit. These Roads are great because many of the homes are built so that they have stunning views of the Russian River in all of its glory. Other great places with views include Monte Rio, Forestville, and Bodega Bay. Who Would Want To Buy a Home In Guerneville, CA? There is a very eclectic group of people that live in Guerneville. The Guerneville Community is as diverse as it is in San Francisco which makes it an ideal vacation spot and an even better place to call home. The community welcomes everyone with open arms and and friendly smile. This is a community of support and acceptance. One that builds each other's confidence and supports new innovative ideas. Everyone who comes here for one reason or another lets the river flow into their souls freeing their spirit. The River creates an invisible tether that makes visitors feel the pull long after they are gone. Then there are the families who have been here for generations and their babies who have just recently been born and it's the only place they have ever known as home! Give yourself the gift of a peaceful escape to the river and let yourself unwind and create memories. You will thank yourself for it the first time you relax on the deck and look out over the river and feel the overwhelming peace and tranquility of the area seep into your bones and penetrate your soul. If you have been thinking about investing in a home on the Russian River Call David R. Millar (BRE#01354778) at 707-217-1786. We can also be found on Google+, Twitter, on our Facebook. I am David Millar and I think you deserve to find a home you love!